The Mississippi River rushes into an impressive drop over St. Anthony Falls, fueling water power that was once the lifeblood of Minneapolis, Minnesota. On those river banks in 1866, a man named Cadwallader Washburn began what would become General Mills. Five years earlier, in 1861, six remarkable Washburn brothers had attended Abraham Lincoln’s presidential inauguration. Abolitionists all, one brother had written Lincoln’s campaign biography. Now Lincoln was dead. The Civil War over. Like his brothers, Cadwallader Washburn grew up on a rocky little farm in Maine. He had been a farmer, a school teacher, a lawyer, and under Lincoln a major general. In 1866, at 48 years of age, Washburn began building a flour mill at St. Anthony Falls. Washburn had visited the falls by steamboat before the war. He gasped when he saw it. He realized this was a source of power. If you wanted to power industry in those days, you did it with water. Washburn’s B mill eventually rose six stories above the frontier. It was not only the largest mill west of the Mississippi, but west of Buffalo, New York. 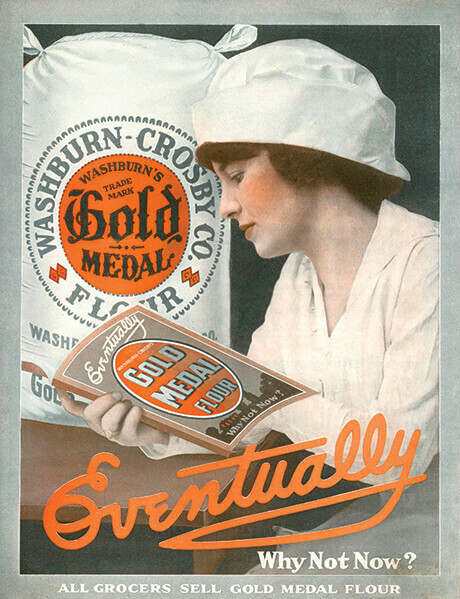 People called it “Washburn’s Folly.” It would flood the markets with flour, they said. He could not sell it all. Pillsbury’s first business venture in Montreal, Canada, had failed. But the 27-year-old had some cash in his pocket when he arrived in Minnesota in 1869. A New Hampshire native—born to the same modest circumstances as Washburn—Pillsbury and his father purchased interest in a run-down flour mill on the opposite river bank. The Pillsbury family had no experience in milling flour, which was deemed to be an unstable business with questionable profits. Yet Pillsbury turned a profit in the first year. Unexpected fame soon followed Pillsbury. “No one would have selected him as the member of the class who was to gain a world-wide reputation,” a fellow Dartmouth College graduate later said. Pillsbury and his partners parlayed a single time-worn mill into one of the world’s larger flour empires. His competitor, Cadwallader Washburn—who had built a second, bigger mill—was flourishing, too. “There is an earthquake,” began the 1878 newspaper account detailing an explosion heard far as 10 miles from St. Anthony Falls in Minneapolis, Minnesota. It was a Thursday evening in May following a shift change. The thrum of people heading home to dinner was interrupted when the Washburn A flour mill on the banks of the Mississippi River caught fire, then exploded. The force scattered debris for blocks. The “big mill” as locals called it—”justly the pride of Minneapolis,” according to a news story—was only four years old. Two millstones running dry had caused a spark. Flour dust was explosive under certain conditions. Plenty of flour dust danced through the massive A Mill. It stood seven stories high. About 200 men worked there, making the A Mill one of the city’s larger employers. When the catastrophe rattled the city, only a 14-man night crew was present in the A Mill. They had begun their night shift shortly before the explosion. All A Mill workers perished, along with four others. Hours earlier, of course, the toll would have been greater. The A Mill owner, Cadwallader Washburn, lived in Wisconsin. 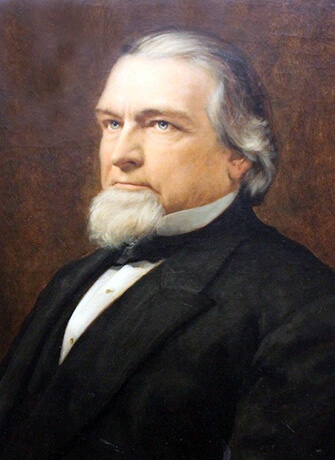 He had been the state’s governor from 1872 to 1874. 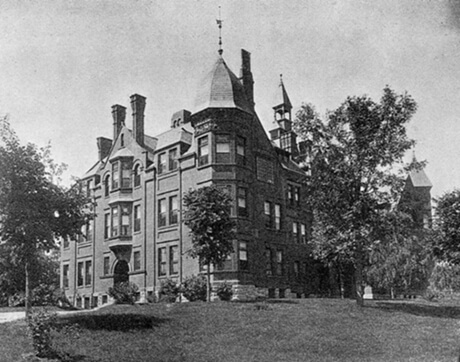 Washburn arrived in Minneapolis the day after the explosion. He paused at the damage, then without hesitation began pacing off dimensions for a new mill. He also insisted that such a calamity would not happen again. His frustration sent him in pursuit of safer milling. It was quite a pursuit. 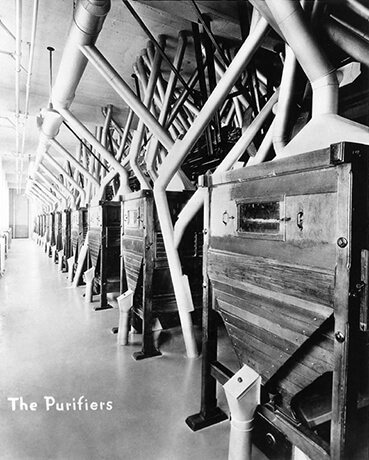 Washburn succeeded in adopting new technology, including ventilation, to make mills safer. A key part of that upgrade involved Washburn importing a Bavarian engineer, then overcoming two hurdles. The engineer spoke no English. And he was blind. When changes were in place, Washburn eagerly shared the safety measures with competitors. Washburn had come from little, and he knew how difficult it could be to feed a family. 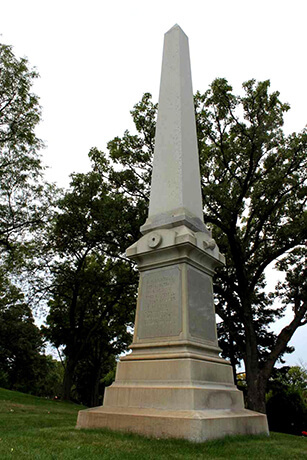 By 1882, Washburn was dead at age 64. The milling industry kept expanding. It’s unlikely Washburn could have envisioned the $40 million offer that was to come. WCCO = WASHBURN CROSBY CO.
Sportsman, mechanic and Shakespeare bibliophile, “moose-tall” James Ford Bell became president of the Washburn Crosby Company in 1925. A lifelong tinkerer, in 1900 Bell had created the first lab for testing flour while a student at the University of Minnesota. The lab was in a large room above a saloon. With World War I in the rear view mirror, sectors of the economy were chugging along in 1925. The milling industry, however, was sputtering. Bell saw the future. It wasn’t pretty. Bell wrote an unwelcome yet truthful report to directors: The milling industry was dying and could not be revived. The 48-year-old lived in a house of musical children, so he closeted himself in a bathroom to write the report. Bell was with his kids en route to a vacation in Atlantic City, New Jersey, in the spring of 1928 when he received a telegram. An underwriting firm, Blair & Co., was courting his Washburn Crosby Co. His wife and kids traveled on while Bell “took a meeting” in New York. As the discussion with Blair sifted to its essence—price—Bell said that he “fished a figure out of the air of $40 million.” Smiling Blair leaders rose from their chairs. Hands were pumped. Cash on the barrel head for an outright purchase. No entanglements. Bell located a telephone to inform John Crosby V, 30, chairman of what soon would become General Mills. Said to be of “civilized irony and subtle charm,” Crosby told Bell that he had no authority to sell the company. Bell acknowledged that. “What would you say if I were to tell you that I got $40 million?” Bell asked. “You had the authority,” Crosby answered. Ceremonial dinners were held. Legal documents were printed. And then a lone member of the anonymous fraternity that Blair represented dissented. The deal was off. “I felt so low I could have walked under a caterpillar with a high hat on,” Bell said. Bell shifted gears from selling to buying. He approached George F. Baker, the 80-year-old banking patriarch at New York’s First National Bank, forerunner of today’s Citibank. Bell and Baker had served together on a board. Both were enthusiastic visionaries. 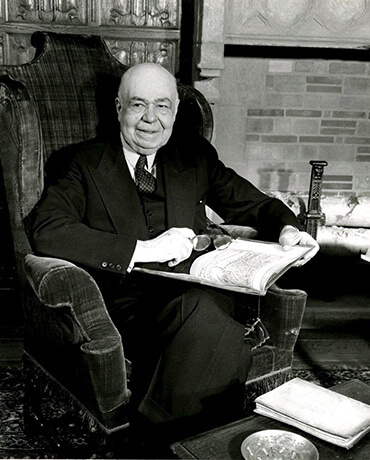 Bell pitched the reshaping of the milling industry to Baker, whom Time magazine once called the “richest, most powerful and most taciturn commercial banker in U. S. history.” Baker welcomed the strategy. 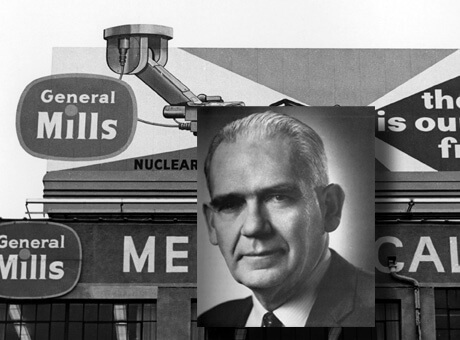 On June 20, 1928, “General Mills” was born. Public trading debuted on the New York Stock Exchange on Nov. 30, 1928 at $65 per share. The price climbed to $86 in early trading. Only a handful of companies in America have paid dividends on common stock without interruption since that year. General Mills is one of them. Timing rarely seems impeccable, and that was true here. The stock market crashed less than a year later, in October of 1929. The Roarin’ ’20s were gone, gone for good for many companies. General Mills was just beginning to roar. Meager days echoed through the United States in 1929. The stock market lost 90 percent of its value. If you were an average American, your income sank from $2,300 to $1,500 a year. Drought loomed on the Great Plains. Demand for consumer goods fell. It seems as though there was always an angry storm churning overhead of the flour milling business. Yet General Mills flourished during The Great Depression, with net income rising and its stock paying relentless dividends. Company president James Ford Bell, who by U.S. presidential appointment had directed the nation’s flour mills during World War I, had forecast the country’s downturn three years earlier. “American financiers were draining…the cup of opportunity recklessly,” Bell had said. Now, Bell’s strategy was to have the cost of business dictate price. He fought the notion of slashing wages for employees, insisting it restricted buying power. And he saw better days ahead. In a later era, Bell would have been seen as a Red Bull-fueled Steve Jobs, a man who bounced between ideas and action. General Mills needed to look beyond dark days to when America would flourish again. So Bell blew out the gaskets of General Mills. Before he was done, the flour milling business that built the company would account for about half of its business. 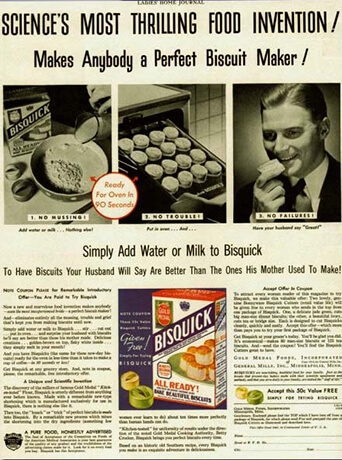 Bisquick and then Kix were introduced during the Depression. Kix was the result of Bell’s creation—a research department. Among its solutions was an affordable process for producing vitamin D. Such research also led to the puffing gun, which delivered a puffed cereal, rather than flakes. Kix was first. Cheerios soon followed. It was all part of Bell’s vision to keep delivering something new. That included peddling fresh ideas to those on relief. 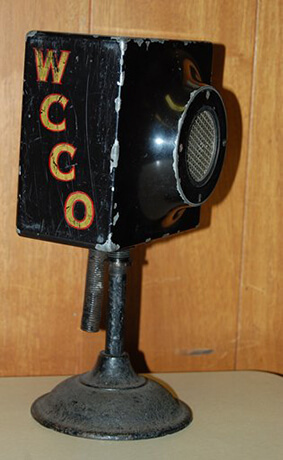 Four in 10 U.S. households now featured a talking box: Radio. 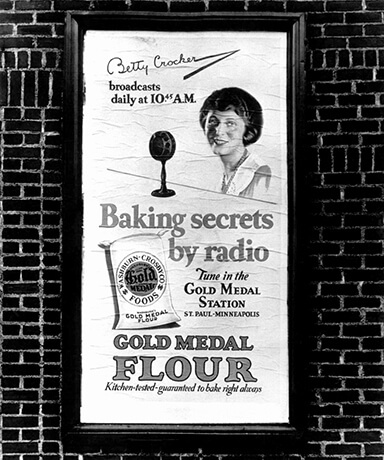 For General Mills, it was the vehicle to communicate reassurance to homemakers, and to help conjure meals for those who had just a sprinkle of cash. 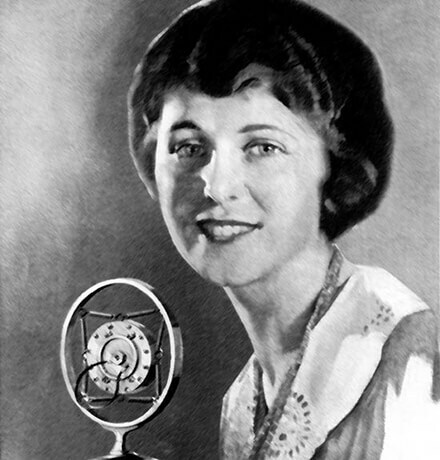 Today, radio might be viewed as more horse-and-buggy than the information super highway. Yet at the time, radio was social media for those thirsting for advice, or just desiring a community back fence. 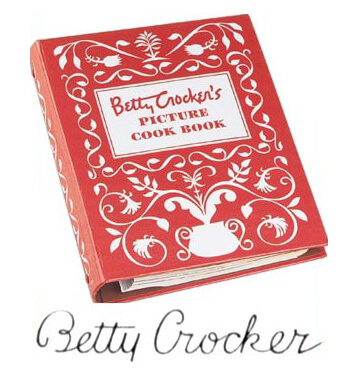 Americans sent letters to Betty Crocker—as many as 7,000 a day. Who responded to the questions? A team of about two dozen experts, either by post or “over the air.” Producing something was becoming just part of the equation. Communicating with people was now in the mix. After America entered World War II, that “service” for General Mills employees extended well beyond food into deep contributions to the war effort. What General Mills would become after the Depression was so far removed from flour that it was impossible to envision. A torpedo could run silent. It could run deep. But it couldn’t make a U-turn until General Mills got ahold of it during World War II. Japan had bombed Pearl Harbor in Hawaii on Dec. 7, 1941. Germany declared war on the United States days later. The fight was on for tattered America, a country still reeling from The Great Depression. What’s more, the U.S. military wasn’t ranked among the top 25 in the world. It had 50,000 cavalry and still used horses to pull artillery. 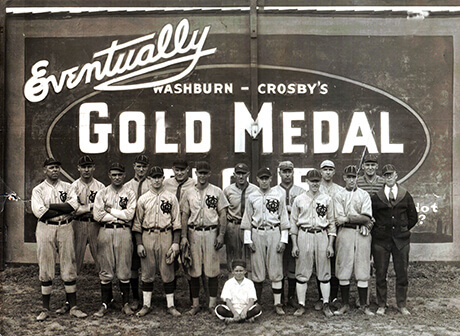 The Mechanical division of General Mills had evolved from the Washburn Crosby Company’s six-person Manufacturing Service department that was founded in 1926. That team kept flour milling machinery running smoothly. After Pearl Harbor, the facility became a “war plant.” Nine in 10 employees worked on war-related projects so crucial that armed guards patrolled there. It was known as one of the best precision manufacturers in the world. It was where the “jitterbug” torpedo was born. General Mills technicians designed a torpedo that would initially miss an enemy sea vessel. Those on board might believe danger had passed. But the torpedo could then adjust its course or even make a U-turn back to the target. By 1942, all U.S. industry focused on helping in that way. That industry had refocused in a blink. For example, in 1941, more than 3 million cars were manufactured in the United States. From then, by anyone’s account, fewer than 800 cars were produced until the war ended in 1945. The auto industry had shifted to producing fuselages, airplane engines, guns and tanks. General Mills turned to defense. But it continued to feed people. 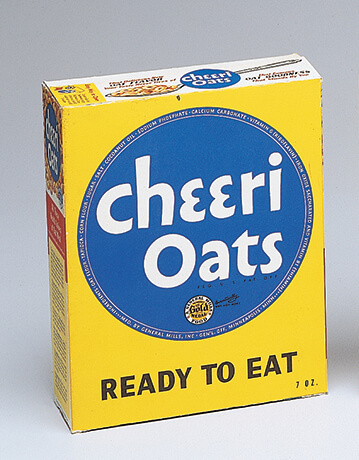 Cheerioats, which became Cheerios, was launched for American homes in 1941. Employees packaged dehydrated eggs for the military in Rochester, New York. Yet about an hour away in Buffalo, General Mills turned out lens coatings and precision instruments. One man who personified precision was University of California chemistry major Thomas R. James. He was a General Mills engineer. He had no engineering degree. Asked why he hadn’t majored in engineering, James said he was sure he could “pick it up” along the way. Oregon-born, the son of a furniture salesman and a school teacher, James was in his mid-40s when he sat with his eyes closed during a critical meeting in the middle of the war. An eight-inch, 55-caliber gun was the centerpiece weapon on a U.S. Navy heavy cruiser. Unfortunately, the gun’s sight was nearly impossible to manufacture. Just two acceptable sights had been made in the previous year. Navy men spoke about the problem. James seemed to sleep. The officers were near fury when one wide-eyed General Mills official signaled calm to them. The officers kept talking. Soon, James’ eyes slid open. “I think we’ll have to redesign the gearing,” he said. For five days, sustained by apples and naps, James bounced between a drawing board and the machine shop. He managed shifts of workers. Cut gears himself. 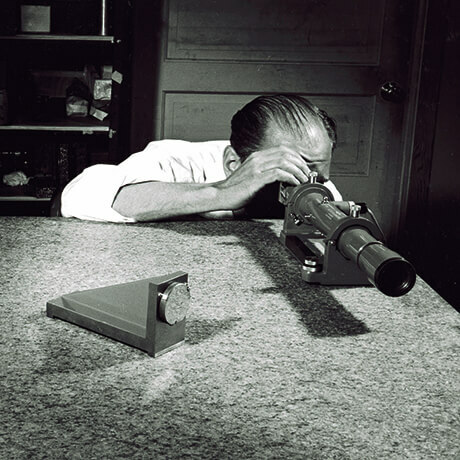 Soon, he had a more rugged, accurate sight with fewer parts that could be manufactured less expensively, and in 6,000 fewer hours. That would allow the Navy to outfit ships’ guns more quickly. Efficiency like that mattered during the World War II. Almost every adult in the United States was employed. The General Mills Mechanical division added 1,000 workers. Then another 1,000. The company was producing breakfast foods, vitamins, gun sights, dehydrated eggs and soup and even sandbags. 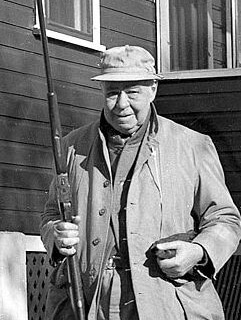 “The beaten path is for the beaten man,” Bullis said. Then the path stopped short. The war ended. Before World War II, the moorings for General Mills were firmly at ground level. After working on torpedoes and gun sights for the U.S. military during the war, the sea and the sky were blended into the company’s territory. That led to one anxious day in Minneapolis, Minnesota. V-J Day—victory over Japan—was barely past when General Mills created its aeronautical research laboratory in 1946. A year later, Minneapolis residents saw something “glowing an angry red” in the sky and thought back to 1938, when actor and film director Orson Welles masterminded a Halloween radio broadcast dramatizing a Martian invasion. As had been true during Welles’ broadcast, the “angry red” was frightening. For some reason, many residents called the University of Minnesota. “The switchboard was jammed with calls for an hour from worried persons who wanted to know if there was a flying saucer in the sky, or if it was the beginning of the end of the world,” according to a University of Minnesota press release. General Mills could not reveal that it had begun working with the U.S. government to develop balloons that could carry as much as 250 pounds of equipment into the upper atmosphere. 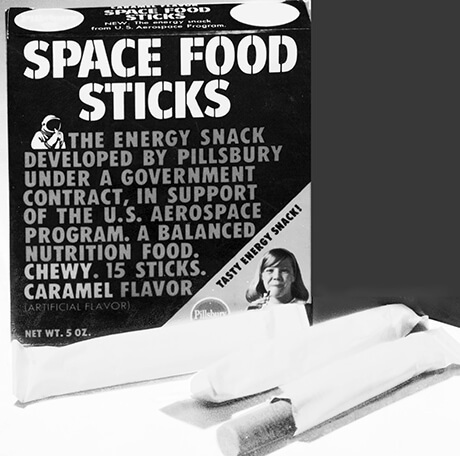 During unmanned “Project Skyhook,” General Mills developed improved plastic balloons that seemingly scraped the stars at around 100,000 feet. 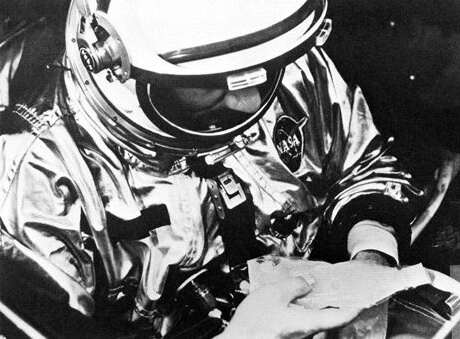 The manned flights that followed contributed to space flight. That was “Project Strato-Lab.” One experiment proved that solar flare activity would be a risk to manned spacecrafts. Another venture contributed information about the earth’s atmosphere. A partnership with the U.S. Navy, those flights began during 1946 and ran into the 1950s. It was in the early 1950s that the General Mills Mechanical division worked in conjunction with the University of Minnesota to develop the technology for what became known as the Ryan flight recorder. James J. Ryan, the University of Minnesota mechanical engineer for whom the box is named, created a device that could survive extreme conditions after capturing data on a plane’s air speed, altitude, vertical acceleration and more. Others – including technical experts in France and Australia – worked on similar projects dating back to the 1930s. It was Ryan, a safety-minded fellow who was called “Crash” around the University of Minnesota because of his many experiments, who received a patent for the flight recorder in August 1953. Better known as “the black box,” the device could “constantly measure the atmospheric conditions surrounding the aircraft,” Ryan said. So, the information was not just valuable in a worse-case scenario, but gathered data for determining the best procedures to avoid airplane disasters. 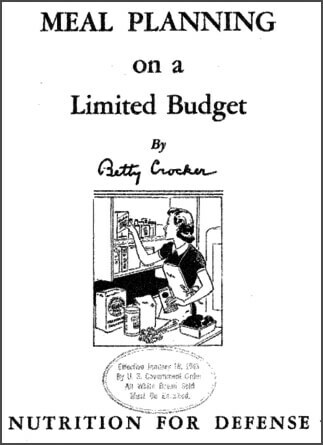 Despite this novel body of work, both General Mills and The Pillsbury Company were committed to the domestic front. Pillsbury purchased regional dough company Ballard & Ballard of Louisville, Kentucky, in 1951. Notably, Ballard had conceived the idea for a dough that would remain packaged and refrigerated to be edible at a later date. That patent was part of the purchase. By 1957, Pillsbury was putting 10 different biscuit and roll varieties onto the dinner tables of homemakers, who were looking to conveniently feed their families. General Mills, meanwhile, had expanded into Canada in 1954 with the launch of Betty Crocker and Cheerios. That same year, the company sold its appliance business. Yes, General Mills had an appliance business. It expanded following World War II, producing food mixers, waffle irons, coffee makers and deep fryer-cookers. As the 1960s approached, expansion was once again in mind. Not only was General Mills primed to go on a buying spree that made it a king in the toy business, its adventures led to the submarine that toured the wreckage of the Titanic. Scientist Robert Ballard was the first to take a two-and-a-half hour dive into the frigid North Atlantic to examine the remains of the luxury liner RMS Titanic. It was 1986. He and two others made the historic trip in ALVIN, a submersible built by General Mills and commissioned in 1964. Harold (Bud) Froehlich, a cabinet-maker’s son from Minneapolis, Minnesota, designed—and took the first 17-foot deep trip in—the original ALVIN. After serving in World War II, Froehlich earned bachelor’s degrees in aeronautical and mechanical engineering at the University of Washington, then a master’s in aeronautical engineering from the University of Illinois at Urbana-Champaign. Life is fragile as a fallen leaf where the Titanic lies, more than 2 miles deep in a sunless environment. 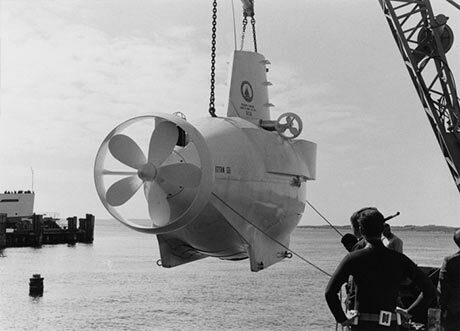 The U.S. Navy placed its trust in General Mills when it awarded the company a contract to build the submersible ALVIN in 1962. 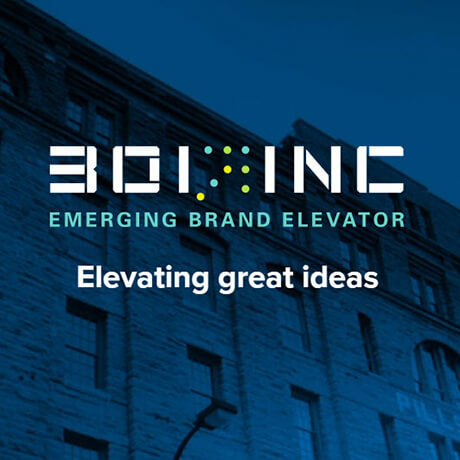 Froehlich’s role with General Mills was a key to acquiring the contract to build ALVIN. ALVIN’s early exploits included locating a lost hydrogen bomb in the Mediterranean Sea in 1966. Later, with Ballard aboard, ALVIN found giant tube worms and other undiscovered aquatic life near hot sea vents 7,000 feet down near the Galápagos Islands. Then came the Titanic. The luxury ship sank on April 15, 1912, during her maiden voyage. Ballard, an oceanographer and marine biologist with the Woods Hole Oceanographic Institute, first spotted the ship’s hull during a secret mission for the U.S. Navy in 1985. He made a dive to the ship’s grave in ALVIN the next year. A creation such as ALVIN would seem to mark a good decade for a company. But in the 1960s, General Mills shook off its commodity focus and turned to, well, toys, among other things. And General Mills did so under a four-star general. 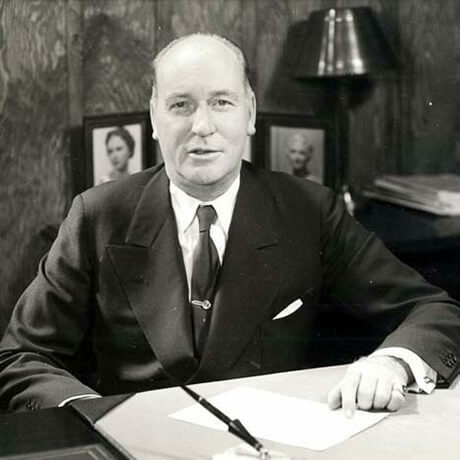 A retired Air Force general who graduated from Hamline University in St. Paul, Minnesota, Edwin W. Rawlings was named General Mills president in 1961. The world cracked open for General Mills under the pipe-smoking visionary Rawlings, whose un-military wardrobe included red socks and loud Hawaiian shirts. From 1961 to 1969, General Mills bought 37 companies in the U.S. and abroad, mostly nonfood businesses. 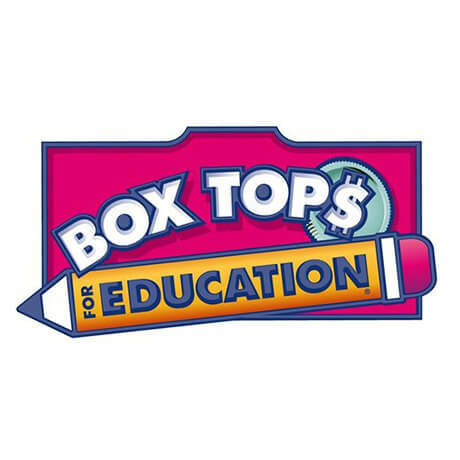 General Mills acquired the makers of Play-Doh modeling compound, then Kenner products, which eventually put Star Wars figures in seemingly everyone’s galaxy, and then Parker Brothers – known for the board game Monopoly. A new method of flour milling, the Bellara Air Spun process, had been researched 30 years earlier when company leader James Ford Bell sought to simplify milling. When finally developed in the 1960s, the result was a higher-quality, more uniform flour brought to tables more efficiently. While General Mills was diversifying, Pillsbury was expanding internationally with acquisitions from Ghana to Venezuela. Pillsbury made its first European acquisition in France’s Etablissement Gringoire, S.A. The 100-year-old name headquartered near Paris was respected, and had several products that were leading the market. That made it an important move for Pillsbury. Soon, Pillsbury also purchased a West German fruit and vegetable canner, an English mix company and a Swiss cookie company. And it bought Burger King. Yes, in 1967 the company known for the Pillsbury Doughboy ventured into the restaurant business. Burger King was a Florida-based chain with 275 restaurants. Pillsbury grew it to 489 locations in two years. By the time the 1970s were over both General Mills and Pillsbury had raked paths deep and far from their milling roots. So it might be only a small surprise that ice cream was next on the agenda. He was Polish, but Reuben Mattus put a map of Denmark on an ice cream package. And there was that umlaut. Mattus placed an umlaut over the “a” in Häagen-Dazs, the brand name he and his wife dreamed up while sitting in the living room of their Brooklyn apartment in 1961. If the intent was to make the name sound Danish, fair enough. But Danish has no umlaut. When Mattus decided to add a strawberry flavor to his line, he spent six years searching for the crop that would meet his standard. Eventually, his business would purchase entire Oregon valleys of strawberries. Pillsbury bought the brand in 1983. And if you leap forward, that brand became an international hit. An over-the-moon hit in places like China. China is where they sell mooncakes. A coveted gift. In China, people stand in line for hours to purchase Häagen-Dazsmooncakes. In Shanghai alone in 2015, one in every five families consumed one box of limited edition, premium, Häagen-Dazs mooncakes during the Mid-Autumn Moon Festival. But he and his family reached a point where the effort required was “unbearable.” He decided Pillsbury could grow the business and remain true to his intensity. His ice cream still has no artificial stabilizers, emulsifiers or colorants. Häagen-Dazs came to Pillsbury—which would eventually come to General Mills—during an era where less was becoming more. 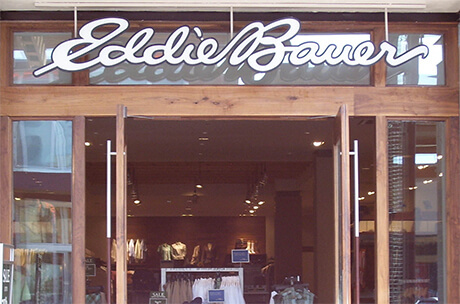 Despite success in other ventures – General Mills had introduced folks to everything from the swank Eddie Bauer options on Ford trucks to Star Wars toys – food was the essence of General Mills. “The companies with the very best results concentrate their resources and their management in a very limited number of businesses which they know well,” said Bruce Atwater, who became chair and CEO of General Mills in 1982. The food and restaurant businesses were consolidating. For companies that wanted to focus on quality, as Mattus had, change was necessary. So divestitures came in toys and retailing. 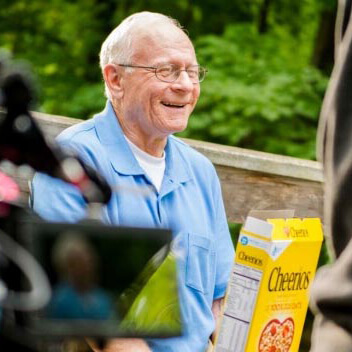 For General Mills, it was a return to the roots of Cadwallader Washburn and Charles Pillsbury, two men whose hearts were in delivering something as simple as the best flour in the 1800s, a time when flour mattered and milling the best was hardly as simple as it might seem. This laser focus on food soon produced notable results. One result was seen in Yoplait yogurt, which achieved national distribution with French-style yogurt in 1982. Another result was seen when Big G cereals not only strengthened their health profile, but Cheerios was clinically shown to lower cholesterol levels when included in a low-fat diet. That earned the right to bear the U.S. Food and Drug Administration’s heart healthy claim. Yet another result was seen in the 1990 joint venture with Nestle’. Cereal Partners Worldwide was created, marking a notable entrée into international expansion. Meanwhile, Pillsbury was truly going international. Grand Metropolitan plc, known as Grand Met, approached the company with an offer. Management negotiated a sale. It was 1989. Suddenly, Pillsbury was British-owned. As it turned out, that wouldn’t be the case for long. It came with a certain button-busting pride. Two companies that began after the U.S. Civil War on opposite banks of the Mississippi River in Minneapolis, Minnesota, finally united. Discussion began in the spring of 2000, when 54-year-old General Mills CEO Steve Sanger had dinner with Paul Walsh, head of British multinational company Diageo. Walsh was interested in selling Diageo’s food businesses, primarily Pillsbury. 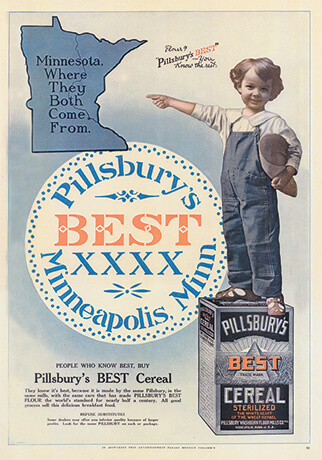 Sanger saw tremendous opportunity in a merger of Pillsbury and General Mills. From its milling roots, General Mills had leveraged its grain expertise into breakfast cereals, cake mixes and grain-based snacks. Pillsbury had evolved to develop unmatched expertise in refrigerated dough products. It also had a strong bakeries and foodservice business, and a growing international portfolio. Their strengths complemented each other. A deal was struck. 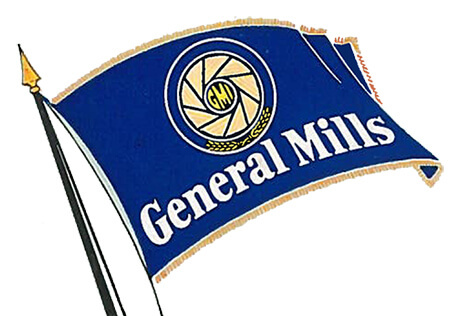 In July 2000, General Mills announced the most significant event in the company’s history since James Ford Bell had united several regional millers to form General Mills more than 70 years earlier. The new General Mills marked its start on October 31, 2001. 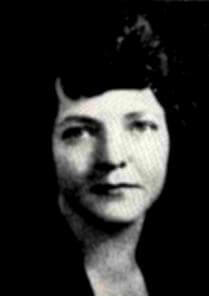 Sanger was a CEO of a different cut. As a college student in the late 1960s, he had been president of Indiana’s DePauw University student union board. He started promoting Motown concerts on campus. So it’s probably no surprise that before the Pillsbury deal, Sanger had negotiated with a once long-haired college kid who had begun selling potatoes, raspberries, strawberries and carrots out of the back of a Volkswagen. Gene Kahn had begun farming in the foothills of the North Cascades mountain range in Washington state. 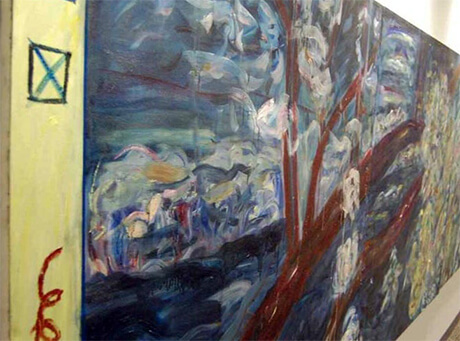 He was pursuing a master’s degree in English literature at the University of Washington. On the side, Kahn started organic farming on 20 acres of land. He called it the “New Cascadian Survival and Reclamation Project.” Kahn knew nothing about farming. As he studied books and articles on organic farming, little did he know that he was on his way to a brand that today is Cascadian Farm. Kahn formed Small Planet Foods in 1997 and acquired Muir Glen tomatoes—named for environmentalist John Muir—the following year. In 2000, General Mills acquired Small Planet Foods. 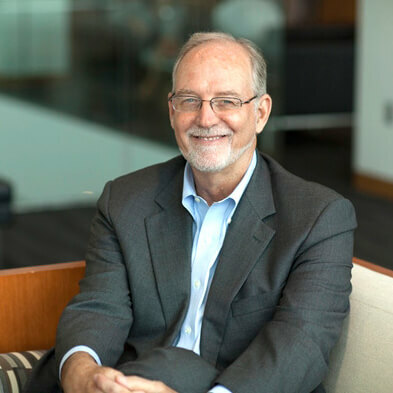 Kahn stayed on—first as president of Small Planet and later as chief sustainability officer overseeing the General Mills corporate social responsibility programs. Kahn established a reputation in the organic food industry. He served on the U.S. Department of Agriculture’s National Organic Standards Board that crafted the national organic standards that began appearing on products in 2002. The General Mills natural and organic brands grew. By 2016, under CEO Ken Powell, General Mills had eight natural and organic lines, including Annie’s, Cascadian Farm, Food Should Taste Good, Immaculate Baking, Lärabar, Liberté, Mountain High and Muir Glen. General Mills had become the third-largest U.S. maker of natural and organic food. A native of Denver, Colorado, Powell spent more than a third of his career outside the United States. 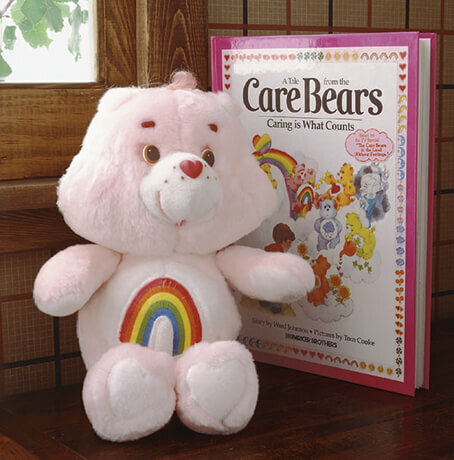 He had helped launch Cereal Partners Worldwide in 1990. CPW, as it is known, is a joint venture with Nestlé based in Lausanne, Switzerland. Earlier in his career, Powell had been president of Yoplait USA. It was under Powell in 2011 that General Mills made another significant move when it acquired a controlling interest in Yoplait S.A.S. 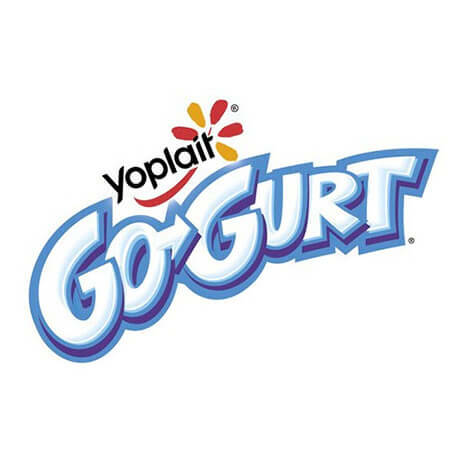 Yoplait products were sold in 70 countries. The brand dated to 1964, when French farmers joined together to sell their products nationally. It was also under Powell in 2012 that General Mills acquired Yoki Alimentos. In Brazil, Yoki’s brands had household penetration as high as 90 percent. Such solid underpinnings have been a recurring theme from 1866 to 2016, when General Mills began celebrating 150 years of challenges, successes and journeys into margins off the path of food. But food has been the constant. 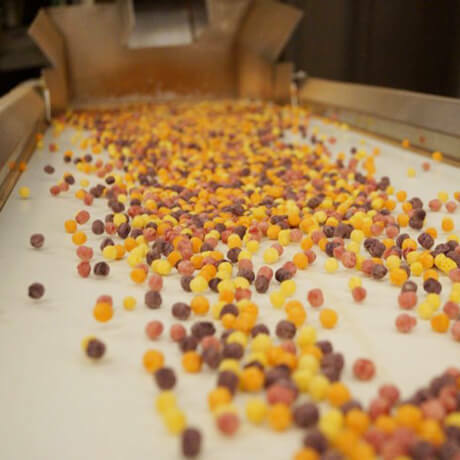 For 150 years and counting, people at General Mills have focused their passion on making food that people love.